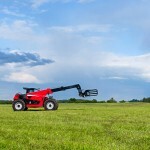 If you are interested in using a Telehandler (Telescopic handler) on your farm, but you are not sure if it is suitable, here are a few tips that may help you decide. By knowing which machine and what you can use it for will help you determine whether leasing or buying one is the right option for you. 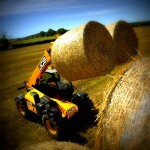 Although many are unfamiliar with telehandlers, choosing to hire one over a crane can be an excellent way to save money. 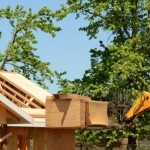 Fortunately, their ease of use also means they are a simple option, which means new users adapt to using them quickly. Telehandlers are amazingly versatile and adaptable, but if they are not used correctly they can become very dangerous machines. Knowing how to use a Telehandler safely is critical to making work less hazardous for you as Operator and for those around you. 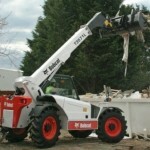 The Bobcat T3571L is an ideal telehandler for a huge range of situations. 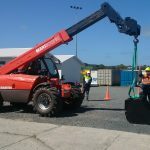 Whether you are working on a farm, construction site, recycling, industry, plant hire or just general material handling work, you should find that its safety, speed, agility and strength with help you complete the toughest jobs with ease.